At the turn of new century, NCEPU formulated the new development strategy with the purpose of making NCEPU into a first-class higher education provider domestically, an academically influential higher education institution internationally, and a multi-disciplinary, research-oriented and internationalized university. As one important component of NCEPU’s Strategy, the main concern of its internationalization is to introduce an advanced philosophy of running a university, outstanding teaching and learning system, up-to-date teaching and learning materials, and thus to upgrade her operational capacity and academic reputation, thus cultivating the first-class talents. To implement the internationalization strategy, International Education Institute (IEI) was established in 2003 to develop international collaboration(both in Beijing campus and Baoding campus). The main function of IEI is to admit international students, provide the Chinese language and the English language learning services, and collaborate with UK, American, Canadian, French, and Australian partner universities in joint undergraduate programs and credit transfer programs, under which NCEPU students will study both in NCEPU and corresponding partner universities abroad. IEI’s mission is to "advance international education and access to education worldwide”. Some of its most recognized programs include one joint undergraduate program of Electrical Engineering program with University of Manchester and University of Strathclyde in UK, an articulation program of Nuclear Engineering and Technology with INP in France, and other articulation programs with worldwide prestigious universities. 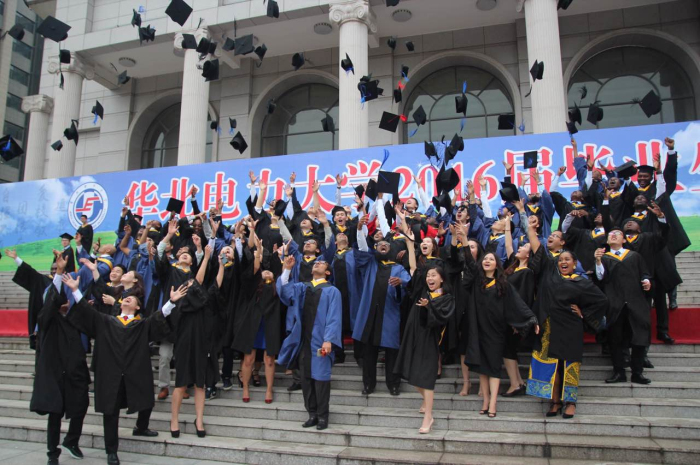 The University of Manchester was granted a Greater China Education Links Award because of the remarkable work in the Joint Undergraduate Program with NCEPU in 2015. For the resent 5 years, we have enrolled nearly 1000 international students studying for the Chinese language, the English language and academic programs on part-time and full-time basis. Several Joint cultivation Programs between university and enterprise also established recently. IEI has now been a home for both international students who are going to study degree programs, the Chinese language, and the Chinese students who are going to study abroad. With well-equipped and satisfying learning environment, comfortable living conditions, every student in IEI will certainly enjoy his/her study and life here and be prepared for a lifetime of achievement.